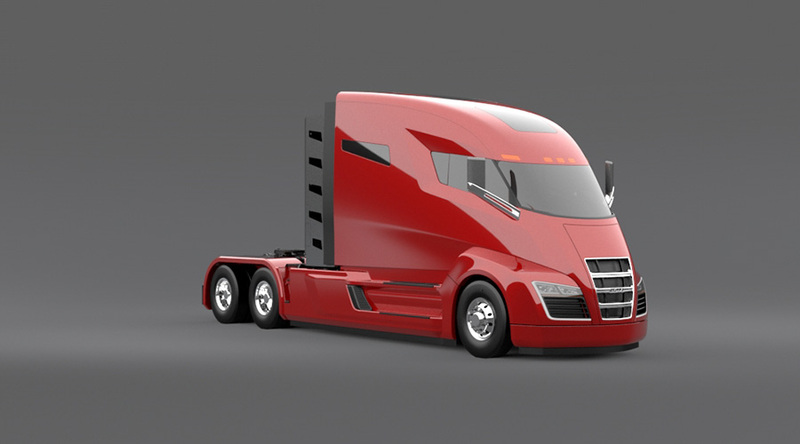 Tesla co-founder Elon Musk's flair for publicity was on full display earlier this month, when he transformed the launch of a new long haul truck into a showcase for a sporty new roadster. Meanwhile, though, he might want to keep an eye on the competition. Last year the startup Nikola Motor Company introduced plans for a hydrogen fuel cell truck, and it has been quietly taking steps to build a network of hydrogen fuel stations to make them go. Musk once famously dismissed hydrogen as an unworkable fuel for electric vehicles. Until recently, he would have had plenty of company. Hydrogen is an abundant element but it must be manufactured and compressed for use in fuel cells. 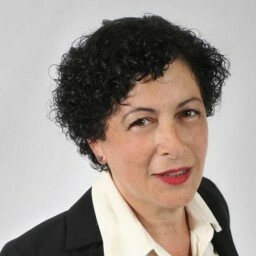 Battery-powered electric vehicles also have a head start on improving efficiency and tamping down costs for the mass market. However, hydrogen has been attracting significant interest from auto manufacturers, and the U.S. Department of Energy has been pouring R&D dollars into improving the technology. Japan and the EU are other hotspots for hydrogen fuel cell development. Hydrogen fuel cell vehicles are run on electricity, just like their battery-powered EV cousins. One main difference is that battery EVs can be charged up conveniently at home or work. On the other hand, a hydrogen fuel cell can be fully refueled in a matter of minutes, just like a conventional gas vehicle. One sticking point for fuel cell EVs is the availability of public fueling stations. That obstacle is beginning to fall away, and it looks like hydrogen fueling stations will be dotting the landscape in the foreseeable future. Battery EVs also faced a public fuel station bottleneck when they were first marketed several years ago. Musk solved the problem by building his own network, and that strategy has been adopted by Nikola. Right around this time last year, Nikola launched its Nikola 1 long haul, zero emission truck in partnership with Ryder, which will provide distribution and maintenance services nationwide. If you caught that thing about solar power, that's a key element. Fossil natural gas is the primary source of hydrogen, but it can also be sourced from biogas or by electrolysis. Electrolysis refers to "splitting" water with an electrical charge, and that can be drawn from renewable energy sources including solar, wind and hydro. Fast-forward to this November, and it looks like those ambitious plans are moving forward. 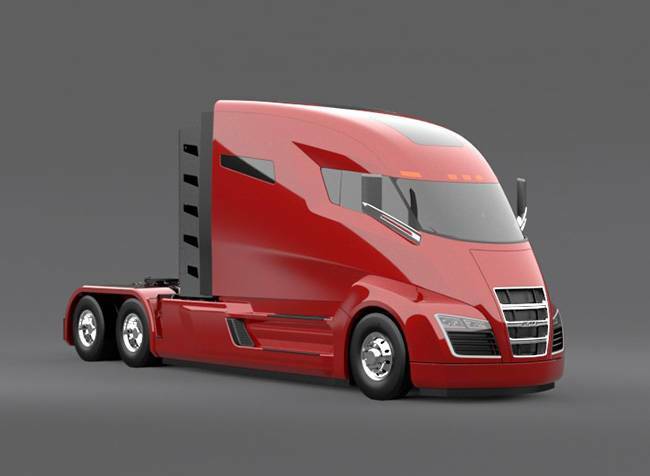 Nikola has already introduced two fuel stations and last week the company announced a supply arrangement with the company Nel ASA, which specializes in electrolysis-based hydrogen production. The new partnership will result in a total of 16 fuel stations including the two already built. That doesn't sound like much but it's a big step up from the company's initial plans, which involved only eight stations. According to Nikola, the 16 stations will provide coverage for more than 2,000 miles. Each Nikola truck is anticipated to consume around 50-75 kgs per day. Each Nikola truck will store between two and three megawatt hours (MWh) of energy. Each station will have around 4,000 kgs of backup storage for redundancy. Each station is anticipated to produce hydrogen at 700 bar (10,000 psi) and 350 bar (5,000 psi). With the increased number of fuel stations in the works, it appears that Nikola is no longer committed to 100 percent renewable hydrogen. However, the company has stated that it will produce hydrogen "through zero emission methods whenever possible." For stations that can't access renewables on site, the local grid mix could help reduce the use of fossil fuels. Nikola states that it already has thousands of interested customers signed up, and no wonder. The company claims a 15-minute fueling time for a range of 800 to 1,200 miles for the Nikola 1 long-haul, and it is free fuel, to boot. More to the point, Nikola states that operating costs run about half as much as a diesel-powered truck. Nikola has also introduced a short-haul "day" version, the Nikola 2, with a similar range and fueling time along with the free fuel offer. That could just be the beginning. The U.S. Army has been dipping into the hydrogen fuel cell EV arena, and now it looks like the Marines are on board. Nikola is developing Nikola Zero, a UTV (utility terrain vehicle) that can fit into a U.S. Marine Corps helicopter. Hydrogen fuel cell watercraft are also in the works for Nikola, so stay tuned for more on that.